Railpictures.ca - Nick Batten Photo: With those classic double ditchlights prying through the morning mist, this GE veteran is hauling a transfer past Piper (Burnaby Lake Regional Park) on its way to CN’s Lynn Creek Yard in North Vancouver. | Railpictures.ca – Canadian Railway Photography – photographie ferroviaire Canadienne. 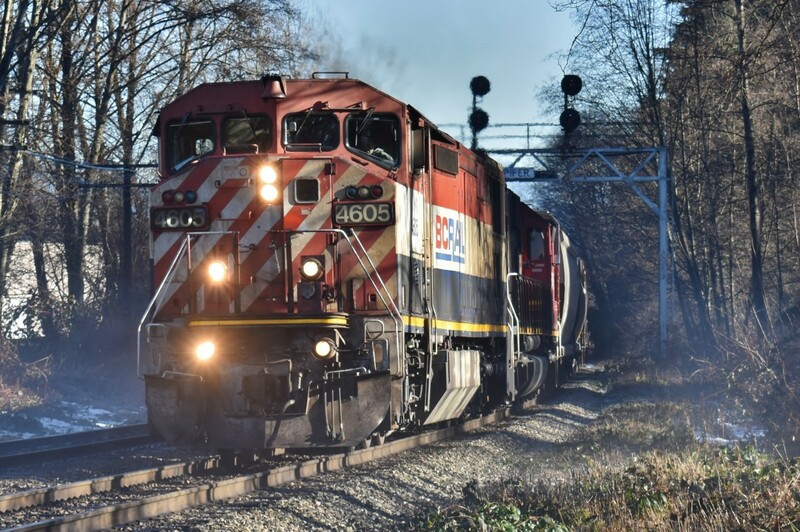 Caption: With those classic double ditchlights prying through the morning mist, this GE veteran is hauling a transfer past Piper (Burnaby Lake Regional Park) on its way to CN's Lynn Creek Yard in North Vancouver.